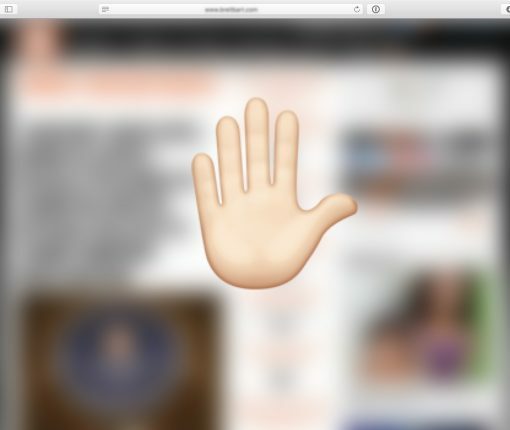 If you decide you want to do some private browsing in Safari on iOS and suddenly the Private button is missing, here’s how to get it back. What do you do if you forgot the Restrictions passcode for Screen Time? 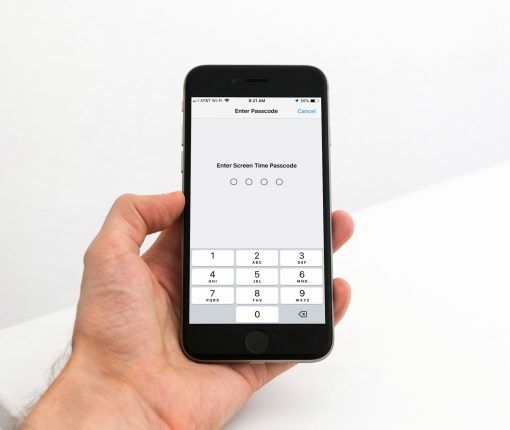 This tutorial shows you how to recover the passcode without resetting your device. 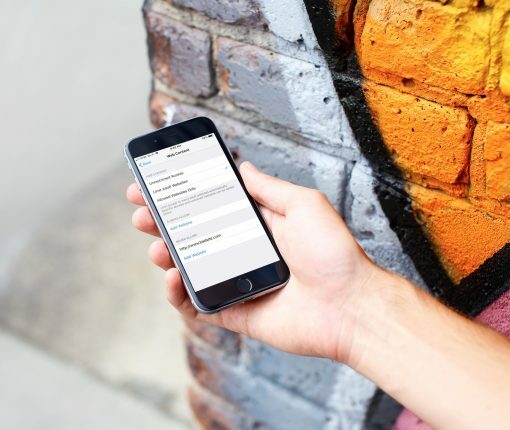 Do you want to restrict access to specific sites on an iOS device? This tutorial shows you how to block websites on iPhone and iPad. If you have a child, you’re advised to filter out any age-inappropriate content by setting up their iPhone or iPad with Screen Time and Restrictions. On iOS 12, the Restrictions section has been renamed and moved to a new place within Settings. Here’s how to access Restrictions with iPhone and iPad on both iOS 12 and newer, and iOS 11 and older. 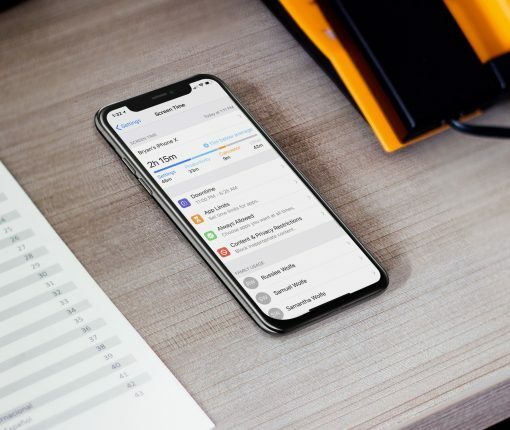 With iOS 12, Apple is bringing a new, comprehensive set of built-in features designed to help iPhone and iPad customers limit distractions and understand how they’re spending time with their devices. Learn how to block access to specific websites on a Mac, and protect your children from accessing content you don’t want them to see. These parental controls will create a blacklist of sites that will be restricted across any browser used on the Mac. The annoying bug, that lets pranksters crash your device by texting you a malicious link, appears to have been addressed in yesterday’s iOS 11.2.5 beta 6 release. If you don’t have the beta installed on your device, here’s what you can do to protect yourself from this “text bomb”. 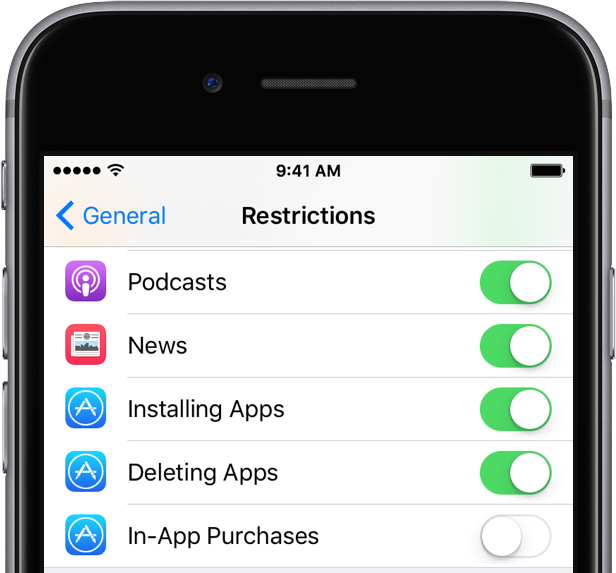 The instructions in this tutorial will guide you through the process of restricting access to music, movies, TV shows, books and apps based on content ratings on iPhone, iPad, Mac, Apple Watch and Apple TV. 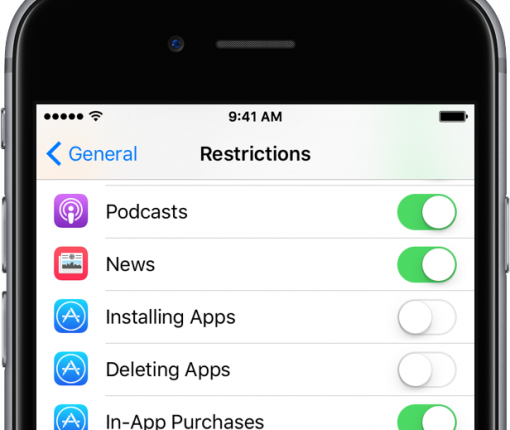 iOS’s built-in Restrictions controls are a great tool to restrict certain features on your iPhone or iPad. 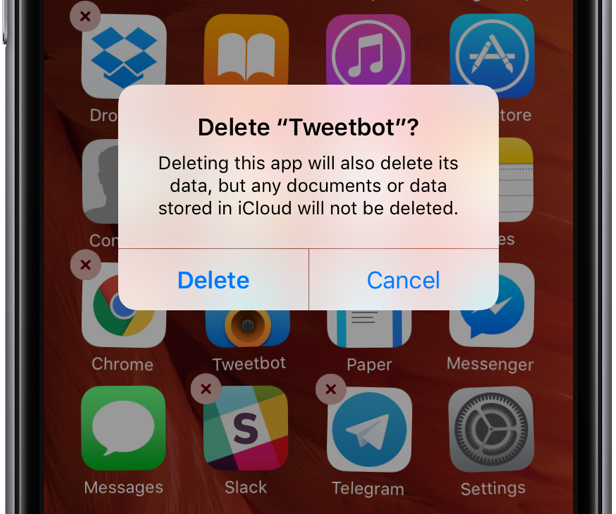 This tutorial will teach you how to prevent accidental app deletions and stop your kids, or other people using your device, from downloading apps. 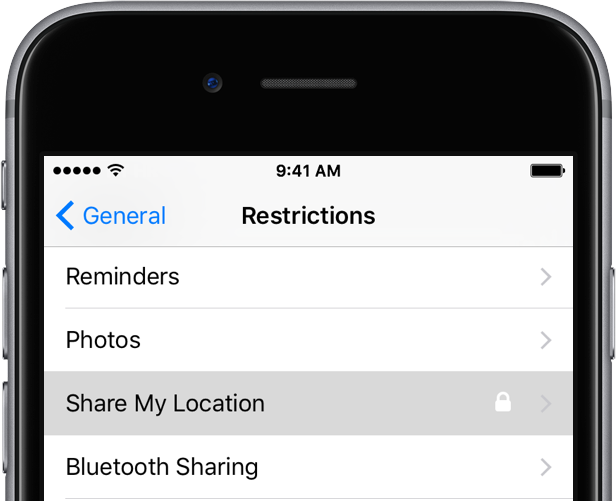 Keep your kids safe by preventing them to share their locations in apps on their iPhone. In this tutorial, we will teach you how to turn on specific parental control restrictions to prevent children from sharing their location in applications such as Facebook, Snapchat, iMessage, Instagram, and more. Every time you buy a rare sword for your hero, a full app unlock, content subscription or other intangibles in apps and games, you’re interacting with Apple’s In-App Purchase system. The beauty of this feature lies in its deep integration with Apple’s ecosystem and the iTunes billing mechanism. It can also pose a hazard for it’s easy to get carried away and ring up a big bill for purchases made within apps. 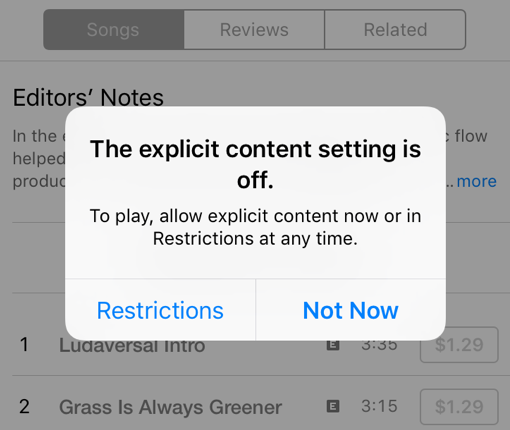 To save us from racking up lots of in-app purchases, Apple’s provided a way to restrict them. In this tutorial, we’ll teach you how to disable or restrict the In-App Purchase mechanism on your iPhone, iPod touch, iPad, Mac and Apple TV to prevent unintentional or unauthorized purchases. 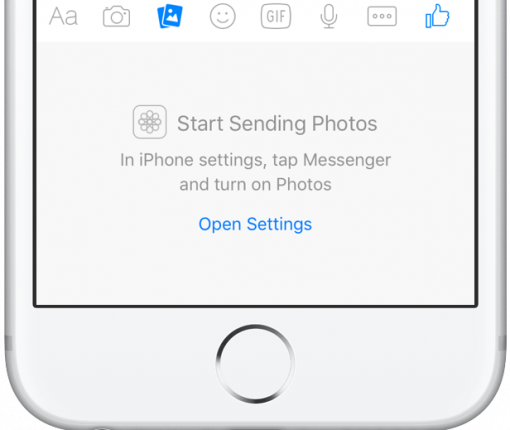 Learn how you can prevent your kids from posting photos and videos to specific applications on iPhone or iPad. This tutorial will walk you through the entire process and help you keep your kids safe by preventing them to publish pictures or videos to the apps you specify.